Cocktail barman training/ mobile cocktail barman available in Sussex, Kent, Surrey, London & Essex-wedding, party, corporate entertainment. 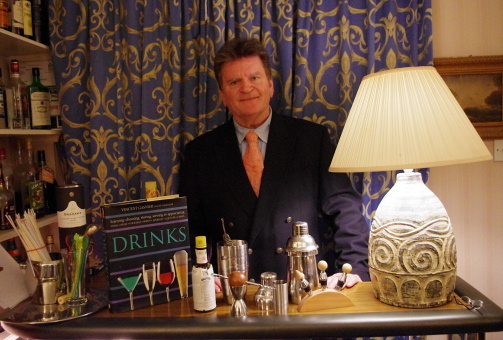 My name is Christopher Cogan and I have had many years of experience in the field of cocktails and have opened and trained staff at some of London's top five star hotel cocktail bars. 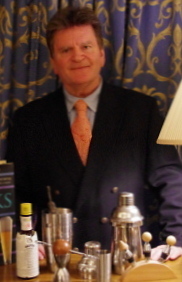 The London hotels that have benefited from my expertise include the Lanesborough, Langham Hilton, The Berkeley, St James Crowne Plaza, The Halcyon and the London Capital Club in the City. 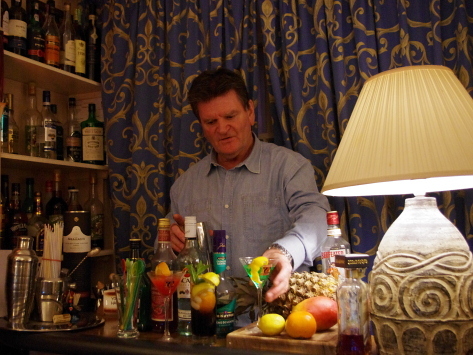 I was also a senior trainer for Professional Bartenders Ltd, a bar school set up in London in the late 90s. My specialities at the school were making classic cocktails, the practice and theory of mixology and the history of alcohol over the past decades. I also taught students the responsibilities of serving alcohol, the influences of alcoholic beverages in different cultures over the decades and the importance of knowing the products served i.e. how essential it is to have product knowledge. Bar school documentation is available on the links below. To download the documentation please right click and choose the save option.